According to the recent results of the neutrino oscillation experiment MINOS, the neutrino mixing angle θ 23 may not be maximal (45°). Two nearly degenerate solutions are possible, one in the lower octant (LO) where θ 23 < 45°, and one in the higher octant (HO) where θ 23 > 45°. Long baseline experiments measuring the ν μ → ν e are capable of resolving this degeneracy. In this work we study the potential of the planned European LBNO experiment to distinguish between the LO and HO solutions. K. Bora, D. Dutta and P. Ghoshal, Determining the octant of θ 23 at LBNE in conjunction with reactor experiments, arXiv:1405.7482 [INSPIRE]. A. Stahl et al., Expression of interest for a very Long Baseline Neutrino Oscillation experiment (LBNO), CERN-SPSC-2012-021 (2012). 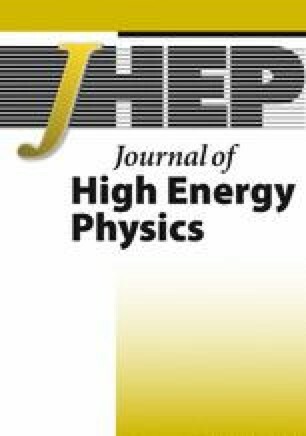 A. Rubbia, Experiments for CP-violation: a giant liquid argon scintillation, Cerenkov and charge imaging experiment?, hep-ph/0402110 [INSPIRE]. ISS Detector Working Group collaboration, T. Abe et al., Detectors and flux instrumentation for future neutrino facilities, 2009 JINST 4 T05001 [arXiv:0712.4129] [INSPIRE]. LAGUNA-LBNO collaboration, S.K. Agarwalla et al., The mass-hierarchy and CP-violation discovery reach of the LBNO long-baseline neutrino experiment, JHEP 05 (2014) 094 [arXiv:1312.6520] [INSPIRE]. P. Coloma, T. Li and S. Pascoli, A comparative study of long-baseline superbeams within LAGUNA for large θ 13, arXiv:1206.4038 [INSPIRE]. E. Kozlovskaya, J. Peltoniemi and J. Sarkamo, The density distribution in the Earth along the CERN-Pyhasalmi baseline and its effect on neutrino oscillations, hep-ph/0305042 [INSPIRE].